Why do we offer safe fabrics? Why do we say we want to change the textile industry? Why do we say we want to produce fabrics in ways that are non-toxic, ethical and sustainable? What could be so bad about the fabrics we live with? Water was not included in the 1947 UN Universal Declaration of Human Rights because at the time it wasn’t perceived as having a human rights dimension. Yet today, corporate interests are controlling water, and what is known as the global water justice movement is working hard to ensure the right to water as a basic human right. (1) Our global supply of fresh water is diminishing – 2/3 of the world’s population is projected to face water scarcity by 2025, according to the UN. Our global water consumption rose six fold between 1900 and 1995 – more than double the rate of population growth – and it’s still growing as farming, industry and domestic demand all increase. The textile industry uses vast amounts of water throughout all processing operations. Almost all dyes, specialty chemicals and finishing chemicals are applied to textiles in water baths. Most fabric preparation steps, including desizing, scouring, and bleaching use water. And each one of these steps must be followed by a thorough washing of the fabric to remove all chemicals used before moving on to the next step. The water is usually returned to our ecosystem without treatment – meaning that the wastewater, which is returned to our streams, contains all of the process chemicals used during milling. This pollutes the groundwater. As the pollution increases, the first thing that happens is that the amount of useable water declines. But the health of people depending on that water is also at risk, as is the health of the entire ecosystem. With no controls in place to speak of to date, there are now 405 dead zones in our oceans. Drinking water even in industrialized countries, with treatment in place, nevertheless yields a list of toxins when tested – many of them with no toxicological roadmap. The textile industry is the #1 industrial polluter of fresh water on the planet – the 9 trillion liters of water used annually in textile processing is usually expelled into our rivers without treatment and is a major source of groundwater pollution. Now that virtual or “embedded” water tracking is becoming necessary in evaluating products, people are beginning to understand when we say it takes 500 gallons of water to make the fabric to cover one sofa. We want people to become aware that when they buy anything, and fabric especially, they reinforce the manufacturing processes used to produce it. Just Google “Greenpeace and the textile industry” to find out what Greenpeace is doing to make people aware of this issue. Lead is a neurotoxin (affects the brain and cognitive development) and affects the reproductive system; mercury is a neurotoxin and possibly carcinogenic; cadmium damages the kidneys, bones and the International Agency for Research on Cancer has classified it as a human carcinogen; exposure to antimony can cause reproductive disorders and chromosome damage. 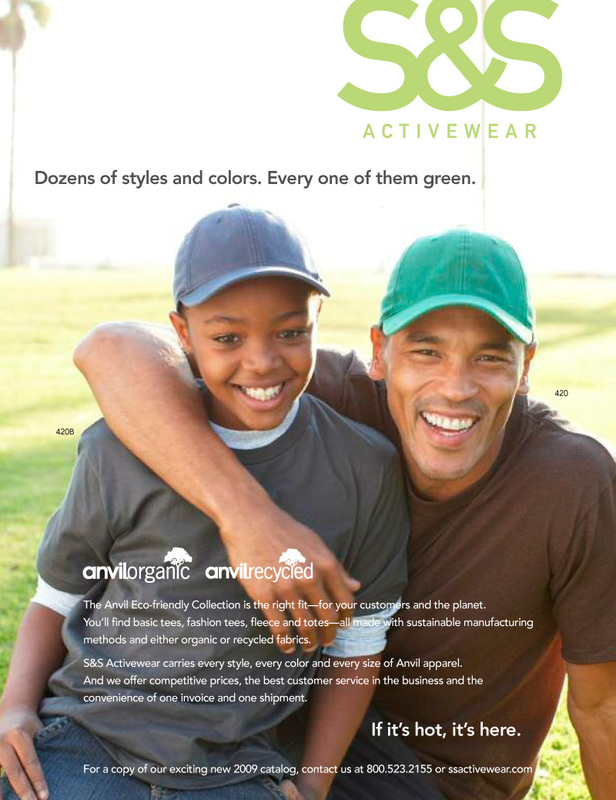 We succeeded in producing the world’s first collection of organic fabrics that were gorgeous and green – and safe. In 2007, those fabrics won “Best Merchandise” at Decorex (www.decorex.com). In 2008, our collection was named one of the Top Green Products of 2008 by BuiltGreen/Environmental Building News. As BuiltGreen/EBN takes no advertising dollars, their extensive research is prized by the green building industry (www.buildinggreen.com). We are a tiny company with an oversized mission. We are challenged to be a triple bottom line company, and we want to make an outsized difference through education for change – so that a sufficiently large number of consumers will know which questions to ask that will force change in an industry. We believe that a sufficiently large number of people will respond to our message to force profound positive change: by demanding safe fabric, produced safely, our environment and our health will be improved. We manage each step of the production process from fiber to finished fabric, unlike other companies, which buy mill product and choose only the color palette of the production run. Those production process steps include fiber preparation, spinning, weaving, dyeing, printing and finishing; with many sub-steps such as sizing and de-sizing, bleaching, slashing, etc. We educate consumers and designers on the issues that are important to them – and to all of us. Our blog on the topic of sustainability in the textile industry has grown from about 2 hits a day to 2,000, and is our largest source of new customers. We are completely transparent in all aspects of our production and products. We want our brand to be known not only as the “the greenest”, but for honesty and authenticity in all claims. This alignment between our values, our claims and our products fuels our passion for the business. We are the only collection we know of which sells only “safe” fabrics. We serve multiple communities, but we see ourselves as being especially important to two communities: those who work to produce our fabric and those who use it, especially children and their parents. By insisting on the use of safe chemicals exclusively, we improve the working conditions for textile workers. And by insisting on water treatment, we mitigate the effects of even benign chemicals on the environment – and the workers’ homes and agricultural land. Even salt, used in copious amounts in textile processing, will ruin farmland and destroy local flora and fauna if not neutralized before being returned to the local waters. For those who use our fabric, chemicals retained in the finished fibers do not add to our “body burden “, which is especially important for children, part of our second special community. 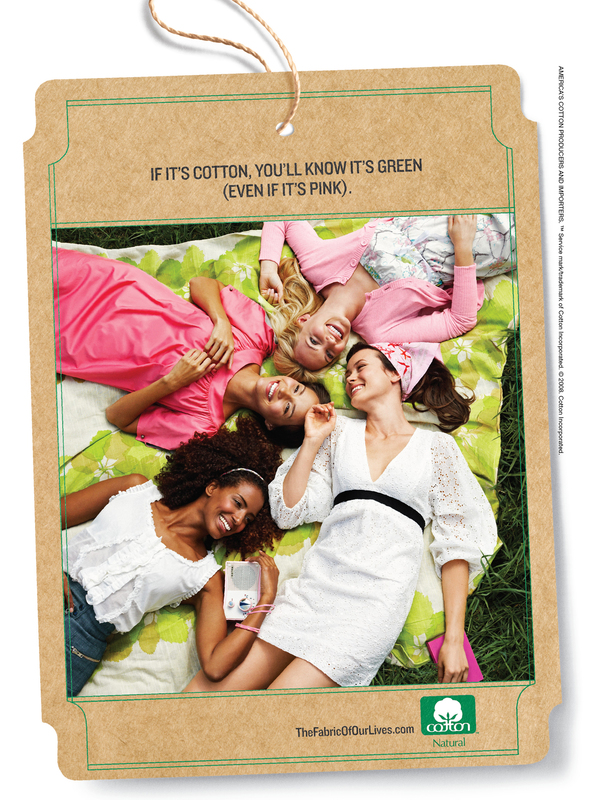 A finished fabric is, by weight, approximately 23% synthetic chemicals. Those chemicals are not benign. Textile processing routinely uses chemicals with known toxic profiles such as lead, mercury, formaldehyde, arsenic and benzene – and many other chemicals, many of which have never been tested for safety. Another thing we’d like you to know about this business is the increasing number of people who contact us who have been harmed by fabric (of all things!) because we represent what they believe is an honest attempt at throwing light on the subject of fabric processing. Many are individuals who suffer from what is now being called “Idiopathic Environmental Intolerance” or IEI (formerly called Multiple Chemical Sensitivity), who are looking for safe fabrics. We’ve also been contacted on behalf of groups, for example, flight attendants, who were given new uniforms in 2011, which caused allergic reactions in a large number of union members. These incidences of fabric-induced reactions are on the rise. As we become more aware of the factors that influence our health, such as we’re seeing currently with increased awareness of the effects of interior air quality, designers and others will begin to see their way to specifying “safe” fabrics just as their code of ethics demands. (12) We feel certain that the trajectory for such an important consumer product as fabric, which surrounds us most of every hour of the day, will mimic that of organic food. We say our fabrics are luxurious – because luxury has become more about your state of mind than the size of your wallet. These days, people define luxury by such things as a long lunch with old friends, the good health to run a 5K, or waking up in the morning and doing exactly what you want all day long. In the past luxury was often about things. Today, we think it’s not so much about having as it is about being knowledgeable about what you’re buying – knowing that you’re buying the best and that it’s also good for the world. It’s also about responsibility: it just doesn’t feel OK to buy unnecessary things when people are starving and the world is becoming overheated. It’s about products being defined by how they make you feel – “conscious consumption” – and giving you ways to find personal meaning and satisfaction. (5)Cooper GS, Scott CS, Bale AS. 2011. Insights from epidemiology into dichloromethane and cancer risk. Int J Environ Res Public Health 8:3380–3398. (6)National Toxicology Program (June 2011). Report on Carcinogens, Twelfth Edition. Department of Health and Human Services, Public Health Service, National Toxicology Program. Retrieved June 10, 2011, from: http://ntp.niehs.nih.gov/go/roc12. as 4.3% of total industrial emissions; see EIA, International Energy Outlook 2011, U.S. Department of Energy. Do we need a national plastics control law? Since 1950, plastics have quickly and quietly entered the lives and bodies of most people and ecosystems on the planet. In the United States alone, more than 100 billion pounds of resins are formed each year into food and beverage packaging, electronics, building products, furnishings, vehicles, toys, and medical devices. In 2007, the average American purchased more than 220 pounds of plastic, creating nearly $400 billion in sales. It is now impossible to avoid exposure to plastics. They surround and pervade our homes, bodies, foods, and water supplies, from the plastic diapers and polyester pajamas worn by our children as well as our own sheets, clothing and upholstery, to the cars we drive and the frying pans in which we cook our food. The ubiquitous nature of plastics is a significant factor in an unexpected side effect of 20th century prosperity — a change in the chemistry of the human body. Today, most individuals carry in their bodies a mixture of metals, pesticides, solvents, fire retardants, waterproofing agents, and by-products of fuel combustion, according to studies of human tissues conducted across the U.S. by the Centers for Disease Control and Prevention. Children often carry higher concentrations than adults, with the amounts also varying according to gender and ethnicity. Many of these substances are recognized by the governments of the United States and the European Union to be carcinogens, neurotoxins, reproductive and developmental toxins, or endocrine disruptors that mimic or block human hormones. Significantly, these chemicals were once thought to be safe at doses now known to be hazardous; as with other substances, the perception of danger grew as governments tested chemicals more thoroughly. Such is the case with Bisphenol-A (BPA), the primary component of hard and clear polycarbonate plastics, which people are exposed to daily through water bottles, baby bottles, and the linings of canned foods. Given the proven health threat posed by some plastics, the scatter shot and weak regulation of the plastics industry, and the enormous environmental costs of plastics — the plastics industry accounts for 5 percent of the nation’s consumption of petroleum and natural gas, and more than 1 trillion pounds of plastic wastes now sit in U.S. garbage dumps — the time has come to pass a comprehensive national plastics control law. One might assume the United States already has such a law. Indeed, Congress adopted the Toxic Substances Control Act (TSCA) in 1976 intending to manage chemicals such as those polymers used to form plastics. Yet TSCA was and is fundamentally flawed for several reasons that have long been obvious. Nearly 80,000 chemicals are now traded in global markets, and Congress exempted nearly 60,000 of them from TSCA testing requirements. Among 20,000 new compounds introduced since the law’s passage, the U.S. Environmental Protection Agency (EPA) has issued permits for all except five, but has required intensive reviews for only 200. This means that nearly all chemicals in commerce have been poorly tested to determine their environmental behavior or effects on human health. The statute’s ineffectiveness has been recognized for decades, yet Congress, the EPA, and manufacturers all share blame for the failure to do anything about it. In contrast, the European Union in 2007 adopted a new directive known as “REACH” that requires the testing of both older and newly introduced chemicals. Importantly the new regulations create a burden on manufacturers to prove safety; under TSCA the burden rests on EPA to prove danger, and the agency has never taken up the challenge. Unless the U.S. chooses to adopt similar restrictions, U.S. chemical manufacturers will face barriers to their untested exports intended for European markets. Thus the chemical industry itself recognizes the need to harmonize U.S. and EU chemical safety law. The most promising proposal for reform in the U.S. is the “Kid-Safe Chemical Act,” a bill first introduced in 2008 that would require industry to show that chemicals are safe for children before they are added to consumer products. Such a law is needed because there is little doubt that the growing burden of synthetic chemicals has been accompanied by an increase in the prevalence of many illnesses during the past half-century. These include respiratory diseases (such as childhood asthma), neurological impairments, declining sperm counts, fertility failure, immune dysfunction, breast and prostate cancers, and developmental disorders among the young. Some of these illnesses are now known to be caused or exacerbated by exposure to commercial chemicals and pollutants. Few people realize how pervasive plastics have become. Most homes constructed since 1985 are wrapped in plastic film such as Tyvek, and many exterior shells are made from polyvinyl chloride (PVC) siding. Some modern buildings receive water and transport wastes via PVC pipes. Wooden floors are coated with polyurethane finishes and polyvinyl chloride tiles. Foods and beverages are normally packaged in plastic, including milk bottles made from high-density polyethylene. Most families have at least one “non-stick” pan, often made from Teflon, a soft polymer that can scratch and hitchhike on foods to the dinner table. Between 1997 and 2005, annual sales of small bottles of water — those holding less than one liter — increased from 4 billion to nearly 30 billion bottles. The billions of video games, computers, MP3 players, cameras, and cell phones purchased each year in the United States use a wide variety of plastic resins. And the almost 7.5 million new vehicles sold in the United States each year contain 2.5 billion pounds of plastic components, which have little hope of being recycled, especially if made from polyvinyl chloride or polycarbonate. The American Plastics Council now estimates that only about 5 percent of all plastics manufactured are recycled; 95 billion pounds are discarded on average yearly. The chemical contents of plastics have always been a mystery to consumers. Under federal law, ingredients need not be labeled, and most manufacturers are unwilling or unable to disclose these contents or their sources. Indeed, often the only clue consumers have to the chemical identity of the plastics they use is the voluntary resin code designed to identify products that should and should not be recycled — but it offers little usable information. The true costs of plastics — including the energy required to manufacture them, the environmental contamination caused by their disposal, their health impacts, and the recycling and eventual disposal costs — are not reflected in product prices. Adding to the environmental toll, most plastic is produced from natural gas and petroleum products, exacerbating global warming. The controversy over BPA — the primary component of hard and clear plastics — and its potential role in human hormone disruption provides the most recent example of the need for a national plastics control law. Normal growth and development among fetuses, infants, children, and adolescents is regulated in the body by a diverse set of hormones that promote or inhibit cell division. More than a thousand chemicals are now suspected of affecting normal human hormonal activity. These include many pharmaceuticals, pesticides, plasticizers, solvents, metals, and flame retardants. Scientists’ growing interest in hormone disruption coincided with a consensus within the National Academy of Sciences that children are often at greater risk of health effects than adults because of their rapidly growing but immature organ systems, hormone pathways, and metabolic systems. And many forms of human illness associated with abnormal hormonal activity have become more commonplace during the past several decades, including infertility, breast and prostate cancer, and various neurological problems. BPA illustrates well the endocrine disruption problem. Each year several billion pounds of BPA are produced in the United States. The Centers for Disease Control and Prevention has found, in results consistent with those found in other countries, that 95 percent of human urine samples tested have measurable BPA levels. BPA has also been detected in human serum, breast milk, and maternal and fetal plasma. BPA travels easily across the placenta, and levels in many pregnant women and their fetuses were similar to those found in animal studies to be toxic to the reproductive organs of the animals’ male and female offspring. Government scientists believe that the primary source of human BPA exposure is foods, especially those that are canned, as BPA-based epoxy resins can migrate from the resins into the foods. In 1997, the FDA found that BPA migrated from polycarbonate water containers — such as the five-gallon water jugs found in offices — into water at room temperature and that concentrations increased over time. 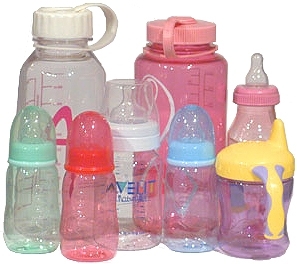 Another study reported that boiling water in polycarbonate bottles increased the rate of migration by up to 55-fold, suggesting that it would be wise to avoid filling polycarbonate baby bottles with boiling water to make infant formula from powders. Scientists have reported BPA detected in nonstick-coated cookware, PVC stretch film used for food packaging, recycled paperboard food boxes, and clothing treated with fire retardants. Since 1995 numerous scientists have reported that BPA caused health effects in animals that were similar to diseases becoming more prevalent in humans, abnormal penile or urethra development in males, obesity and type 2 diabetes, and immune system disorders. BPA can bind with estrogen receptors in cell membranes following part-per-trillion doses — exposures nearly 1,000 times lower than the EPA’s recommended acceptable limit. Research on plastics, however, now comprises a large and robust literature reporting adverse health effects in laboratory animals and wildlife at even low doses. Claims of associations between BPA and hormonal activity in humans are strengthened by consensus that everyone is routinely exposed and by the rising incidence of many human diseases similar to those induced in animals dosed with the chemical. Two competing narratives — one forwarded by independent scientists and the other promoted by industry representatives — have delayed government action to protect the health of citizens through bans or restrictions. How has the plastics industry escaped serious regulation by the federal government, especially since other federally regulated sectors that create environmental or health risks such as pharmaceuticals, pesticides, motor vehicles, and tobacco have their own statutes? In the case of plastics, Congress instead has been content with limited federal regulatory responsibility, now fractured among at least four agencies: the EPA, the Food and Drug Administration, the Consumer Product Safety Commission, and the Occupational Safety and Health Administration. None of these agencies has demanded pre-market testing of plastic ingredients, none has required ingredient labeling or warnings on plastic products, and none has limited production, environmental release, or human exposure. As a result, the entire U.S. population continues to be exposed to hormonally active chemicals from plastics without their knowledge or consent. What should be done? The Kids Safe Chemical Act represents a comprehensive solution that would apply to all commercial chemicals including plastic ingredients. Yet the nation’s chemical companies, with their enormous political power, are not likely to agree to assume the testing costs, nor are they likely to accept a health protective standard. Rather than pass another weak statute, Congress should consider a stronger alternative. tough government regulations that demand pre-market testing and prohibit chemicals that do not quickly degrade into harmless compounds. Exempting previously permitted ingredients from this evaluation makes little sense, as older chemicals have often been proven more dangerous than newer ones. The chemical industry itself needs to replace persistent and hazardous chemicals with those that are proven to be safe. Plastics ingredients found to pose a significant threat to the environment or human health should be quickly phased out of production. Congress chose this approach to manage pesticide hazards, and it has proven to be reasonably effective since the passage of the Food Quality Protection Act in 1996. Federal redemption fees for products containing plastics should be set at levels tied to chemical persistence, toxicity, and production volume. These fees should be high enough that consumers have a strong incentive to recycle. We need mandatory labeling of plastic ingredients, in order to allow consumers to make responsible choices in the marketplace. Finally, manufacturers should take responsibility for cleaning up environmental contamination from the more than one trillion pounds of plastic wastes they have produced over the past 50 years. I have been saying for years that fabric is the forgotten product. People just don’t seem to care about what their fabric choices do to them or to the environment. (Quick, what fiber is your shirt/blouse made of? What kinds of fibers do you sleep on?) They are too busy to do research, or they’re gullible – either way they decide to believe claims made by many product manufacturers. And I can’t really blame them, because the issues are complex. Green products are proliferating so quickly (the average number of “green” products per store almost doubled between 2007 and 2008, according to TerraChoice’s Greenwashing Report 2009) and adding so many new consumer claims that the term “greenwash” (verb: the act of misleading consumers regarding the environmental practices of a company or the environmental benefits of a product or service) has become part of most people’s vocabulary. In the area of fabrics, the greenwashing going on has led the FTC to make the publication of its new Green Guide on textiles a priority. Consumers may be misled into purchases that do not deliver on their environmental promise. Illigetimate environmental claims will take market share away from products that offer legitimate benefits, thereby slowing the spread of real environmental innovation. 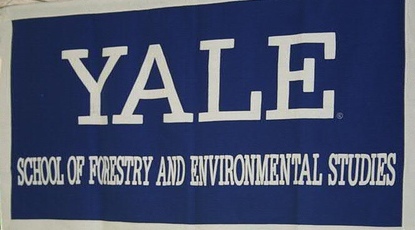 Greenwashing will lead to cynicism and doubt about all environmental claims. Consumers may just give up. And perhaps worst of all – the sustainability movement will lose the power of the market to accelerate real progress towards sustainability. The first step to cleaning up greenwashing is to identify it, and Kevin Tuerff (co-founder of the marketing consultancy EnviroMedia) and his partners have hit on an innovative way to spotlight particularly egregious examples. They’ve launched the Greenwashing Index, a website that allows consumers to post ads that might be examples of greenwashing and rate them on a scale of 1 to 5–1 is a little green lie; 5 is an outright falsehood. This hopefully teaches people to be a bit more cautious about the claims they hear. Read more about greenwashing here. Using the company’s own in-house environmental program without further explanation. 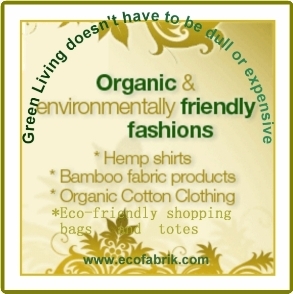 Using certification-like images with green jargon including “eco-safe”, “eco-preferred”. I’ve begun to see examples of products which claim to be certified to the GOTS standard (Global Organic Textile Standard) – but the reality is that the fiber is certified to the GOTS standard while the final fabric is not. There is a big difference between the two. And the GOTS-certifying agencies have begun to require retailers to be certified – to keep the supply chain transparent because there have been so many incidences of companies substituting non- GOTS products for those that actually received the certification. 2) Sin of the Hidden Trade-off: a claim suggesting that a product is “green” based on a narrow set of attributes without attention to other important environmental issues. The most overused example of this is with recycled content of fabrics – a textile is advertised as “green” because it is made of x% recycled polyester. Other important environmental issues such as heavy metal dyes used, whether the polyester is woven with other synthetics or even natural fibers (thereby contributing to other environmental degredation), the fact that plastic is not biodegradeable and contains antimony or bisphenol A may be equally important. Cargill Dow introduced it’s new Ingeo fiber with much fanfare, saying that it is based on a renewable resource (rather than oil). Missing entirely from Cargill Dow’s press materials is any acknowledgement of the fact that the source material for these products is genetically engineered corn, designed by one of Cargill Dow’s corporate parents, Cargill Inc., a world leader in genetic engineering. (See our blog postings on genetic engineering dated 9.23 and 9.29.09) That’s a potentially huge problem, since millions of consumers around the world and several governments have rejected the use of genetically engineered (GE) products, because of the unforeseen consequences of unleashing genetically altered organisms into nature. 5) Sin of Irrelevance: An environmental claim that may be truthful but is unimportant or unhelpful for consumers seeking environmentally preferable products. The term “organic” is the most often used word in textile marketing – and what does it really mean? Organic, by definition, means carbon-based, so unless the word “organic” is coupled with “certified” the term is meaningless. But even “certified organic” fiber can cause untold harm during the processing and finishing of the fabric – think of turning organic apples into applesauce (adding Red Dye #2, stabalizers, preservatives, emulsifiers) where the final result cannot be considered organic APPLESAUCE even though the apples started out as organic. It is said that the amount of “organic cotton” supposedly coming out of India far outweighs the amount of organic cotton actually being grown. It is common practice for vendors to call a batch of cotton “organic”, if minimal or no chemicals have been used, even if no certification has been obtained for the fiber. It’s also generally understood that certification can be “acquired”, even if not earned. 6) Sin of Lesser of Two Evils: A claim that may be true within the product category, but that risks distracting the consumer from the greater environmental impacts of the category as a whole. 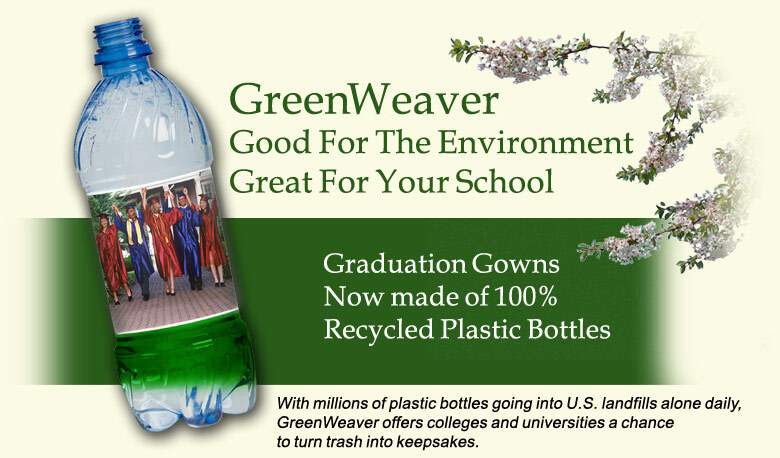 Again, the use of recycled polyester as a green claim distracts from the greater environmental impact that plastics have on the environment, the much greater carbon footprint that any synthetic has compared to any natural fiber, the antimony used in polyester production, the fact that polyesters are dependent on non renewable resources for feedstock…the list goes on. 7) Sin of Fibbing: just what it says – environmental claims that are simply false. I’d like to add an additional sin which I think is specific to the textile industry: that of a large fabric company touting it’s green credentials because it has a “green” collection (sometimes that “green” collection is anything but) – but if you look at the size of the green collection and compare it to conventional offerings, you’ll find that maybe only 10% of the company’s fabrics have any possible claim to “green”. Is that company seriously trying to make a difference? Although most of the current focus on lightening our carbon footprint revolves around transportation and heating issues, the modest little fabric all around you turns out to be from an industry with a gigantic carbon footprint. The textile industry, according to the U.S. Energy Information Administration, is the 5th largest contributor to CO2 emissions in the United States, after primary metals, nonmetallic mineral products, petroleum and chemicals. (1) Find out what the fabric is made from, because the type of fiber tells you a lot about the energy needed to make the fibers used in the yarn. The carbon footprint of various fibers varies a lot, so start with the energy required to produce the fiber. (2) Next, add the energy used to weave those yarns into fabric. Once any material becomes a “yarn” or “filament”, the amount of energy and conversion process to weave that yarn into a textile is pretty consistent, whether the yarn is wool, cotton, nylon or polyester. Let’s look at #1 first: the energy needed to make the fibers and create the yarn. For ease of comparison we’ll divide the fiber types into “natural” (from plants, animals and less commonly, minerals) and “synthetic” (man made). Substituting organic fibers for conventionally grown fibers is not just a little better – but lots better in all respects: uses less energy for production, emits fewer greenhouse gases and supports organic farming (which has myriad environmental, social and health benefits). A study published by Innovations Agronomiques (2009) found that 43% less GHG are emitted per unit area under organic agriculture than under conventional agriculture. A study done by Dr. David Pimentel of Cornell University found that organic farming systems used just 63% of the energy required by conventional farming systems, largely because of the massive amounts of energy requirements needed to synthesize nitrogen fertilizers. Further it was found in controlled long term trials that organic farming adds between 100-400kg of carbon per hectare to the soil each year, compared to non-organic farming. When this stored carbon is included in the carbon footprint, it reduces the total GHG even further. The key lies in the handling of organic matter (OM): because soil organic matter is primarily carbon, increases in soil OM levels will be directly correlated with carbon sequestration. While conventional farming typically depletes soil OM, organic farming builds it through the use of composted animal manures and cover crops. There is no dramatic difference in the amount of energy needed to weave fibers into fabric depending on fiber type.. The processing is generally the same whether the fiber is nylon, cotton, hemp, wool or polyester: thermal energy required per meter of cloth is 4,500-5,500 Kcal and electrical energy required per meter of cloth is 0.45-0.55 kwh. This translates into huge quantities of fossil fuels – both to create energy directly needed to power the mills, produce heat and steam, and power air conditioners, as well as indirectly to create the many chemicals used in production. In addition, the textile industry has one of the lowest efficiencies in energy utilization because it is largely antiquated. Up to 2000 chemicals are used in textile processing, many of them known to be harmful to human (and animal) health. Some of these chemicals evaporate, some are dissolved in treatment water which is discharged to our environment, and some are residual in the fabric, to be brought into our homes (where, with use, tiny bits abrade and you ingest or otherwise breathe them in). A whole list of the most commonly used chemicals in fabric production are linked to human health problems that vary from annoying to profound. The application of these chemicals uses copious amounts of water. In fact, the textile industry is the #1 industrial polluter of fresh water on the planet. These wastewaters are discharged (largely untreated) into our groundwater with a high pH and temperature as well as chemical load. Concerns in the United States continue to mount about the safety of textiles and apparel products used by U.S. consumers. Philadelphia University has formed a new Institute for Textile and Apparel Product Safety, where they are busy analyzing clothing and textiles for a variety of toxins. Currently, there are few regulatory standards for clothing and textiles in the United States. Many European countries, as well as Japan and Australia, have much stricter restrictions on the use of chemicals in textiles and apparel than does the United States, and these world regulations will certainly impact world production. There is a bright spot in all of this: an alternative to conventional textile processing does exist. The new Global Organic Textile Standard (GOTS) is a tool for an international common understanding of environmentally friendly production systems and social accountability in the textile sector; it covers the production, processing, manufacturing, packaging, labeling, exportation, importation and distribution of all natural fibers; that means, specifically, for example: use of certified organic fibers, prohibition of all GMOs and their derivatives; and prohibition of a long list of synthetic chemicals (for example: formaldehyde and aromatic solvents are prohibited; dyestuffs must meet strict requirements (such as threshold limits for heavy metals, no AZO colorants or aromatic amines) and PVC cannot be used for packaging). It’s a promise to keep our air and water pure and our soils renewed; it’s a fabric which will not cause harm to you or your descendants. Even though a synthetic fiber cannot be certified to GOTS, the synthetic mill could adopt the same production standards and apply them. So for step #2, the weaving of the fiber into a fabric, the best choice is to buy a GOTS certified fabric or to apply as nearly as possible the GOTS parameters. At this point in time, given the technology we have now, an organic fiber fabric, processed to GOTS standards, is (without a doubt) the safest, most responsible choice possible in terms of both stewardship of the earth, preserving health and limiting toxicity load to humans and animals, and reducing carbon footprint – and emphasizing rudimentary social justice issues such as no child labor. And that would be the end of our argument, if it were not for this sad fact: there are no natural fiber fabrics made in the United States which are certified to the Global Organic Textile Standard (GOTS). The industry has, we feel, been flat footed in applying these new GOTS standards. With the specter of the collapse of the U.S. auto industry looming large, it seems that the U.S. textile industry would do well to heed what seems to be the global tide of public opinion that better production methods, certified by third parties, are the way to market fabrics in the 21st Century. U.S. Energy Information Administration, “International Energy Annual 2006”, posted Dec 8, 2008.
it applies only to clothing; even sheets aren’t washed as often as clothing while upholstery is seldom cleaned. Is the washing machine used a new low water machine? Is the water treated by a municipal facility? Synthetics begin to smell if not treated with antimicrobials, raising the energy score. International Trade Centre UNCTAD/WTO and Research Institute of Organic Agriculture (FiBL); Organic Farming and Climate Change; Geneva: ITC, 2007.
 Cooper, Peter, “Clearer Communication,” Ecotextile News, May 2007. 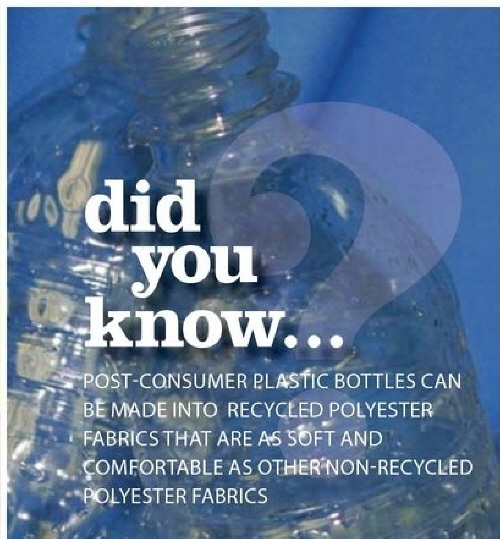 More reasons to find a replacement for polyester. Called The Great Pacific Garbage Patch, it’s a mass of floating plastic. Nobody seems to be able to agree on the size, or even whether the plastic is dangerous or serving a function. Plastics can harm ocean birds and mammals who eat it, because they carry toxins, can pierce internal organs and can trick animals into thinking they are full. But hard numbers are tough to come by. “It’s so hard to say a bird died due to plastic in its stomach,” says Holly Bamford, director of the National Oceanic and Atmospheric Administration’s marine-debris program. “We have seen birds mature and live out their whole life, and necropsies show plastic in their stomach.” On the other hand, David Karl, an oceanographer at the University of Hawaii, says that the plastics have a high concentration of microorganisims clinging to them which are producing oxygen. Polyester production, running at around 50 million tons per year, consumes about 104 million barrels of oil for production (and that doesn’t include the energy needed for transportation). We have called for research into substitutes for polyester fabrics and still insist that we (a people which have sent men to the moon, after all) should be able to find a substitute for our plastic obsession. Recycled polyester seems to have been crowned the Queen of Green by decorative fabrics distributors because it is claimed that by recycling the polyester we can have a lighter footprint. I’ve outlined our arguments against that in other posts, not least of which is the fact that there are no workable takeback programs in place. The argument in favor of recycling is that if consumers have an “easy” way to recycle their plastic, and are educated and reminded on the need to do so, most will, resulting in a cleaner environment. However, Americans recycle only about 20% of their plastic bottles – and this in a nation where it’s relatively easy to throw a used bottle into a recycling container. What percentage of fabrics do you think will be torn off sofas or delivered to a recycling facility? How many project managers will tear out banquettes and order the separation of the fabric from the wooden frame? Add to those arguments the fact that there has been a history of corporations collecting plastics and sending them overseas to be processed, such as the famous case of Pepsi Cola exporting tons of PET bottles to India in the 1990s. This case amounts to an indictment of much of what passes for recycling in the United States and elsewhere – putting the plastic waste out of sight, out of mind. The plastics industry is exporting their waste to less industrialized countries, avoiding domestic regulations, avoiding community opposition to waste handling facilities, paying their workers pennies a day, and maintaining a “green” image at home. People in developed countries can lower their ecological guilt by depending on environmental injustice in Asia. This is not recycling; this is, at best, a type of reprocessing that delays the eventual dumping of the plastic. And at worst it encourages consumers to buy more plastic because their environmental concerns are lessened by the promise that the goods are being recycled. What is the energy profile of the textile industry? If you’ve been following along you’ll know we haven’t even reached the point where we begin weaving – everything up till now dealt only with producing the raw materials (the fiber) and spinning into yarn! This translates into huge quantities of fossil fuels – both to create energy directly needed to power the mills, produce heat and steam, and power air conditioners, as well as indirectly to create the many chemicals used in production. In addition, the textile industry has one of the lowest efficiencies in energy utilization because it is largely antiquated. Up to 2000 chemicals are used in textile processing, many of them known to be harmful to human (and animal) health. Some of these chemicals evaporate, some are dissolved in treatment water which is discharged to our environment, and some are residual in the fabric, to be brought into our homes (where, with use, tiny bits abrade and you ingest or otherwise breathe them in). A whole list of the most commonly used chemicals in fabric production are linked to human health problems that vary from annoying to profound. And new research is linking many diseases and disorders to exposure to chemicals. Through the new science of environmental health science, we are learning that exposure to toxic chemicals (at levels once thought to have been safe) is increasing the chronic disease burden for millions of us. For more information about this disturbing concept, check out the National Institute of Environmental Health Sciences, part of the National Institutes of Health. The application of these chemicals uses lots of water. In fact, the textile industry is the #1 industrial polluter of fresh water on the planet. These wastewaters are discharged (largely untreated) into our groundwater with a high pH and temperature as well as chemical load. I wrote about a documentary which catalogues the ravages brought on by water pollution and how it impacts those downstream, called (interestingly enough), DOWNSTREAM.